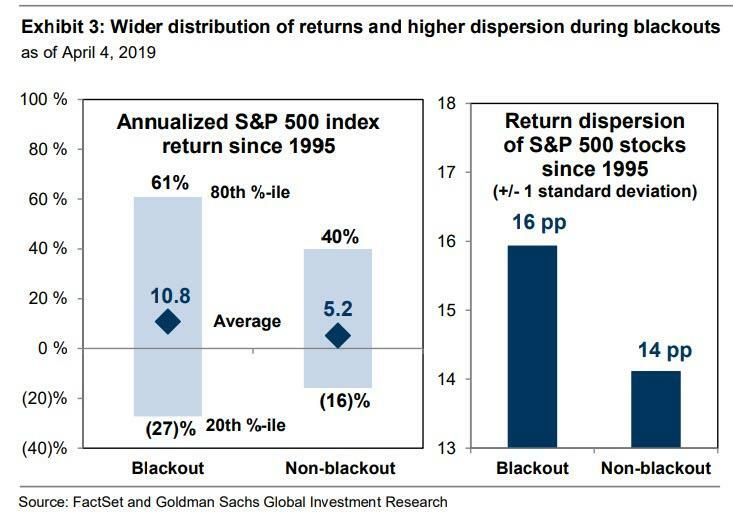 Few topics prompt as powerful (and violent) a response from financial professionals as what the role of financial buybacks is in determining stock prices. One group, largely those bulls who after a decade of central bank manipulation still believe that markets are efficient and unrigged, and in hope of increasing their AUMs claim that they are financial geniuses for riding the world's biggest financial bubble in history, argue that stock buybacks have no impact on stock prices. 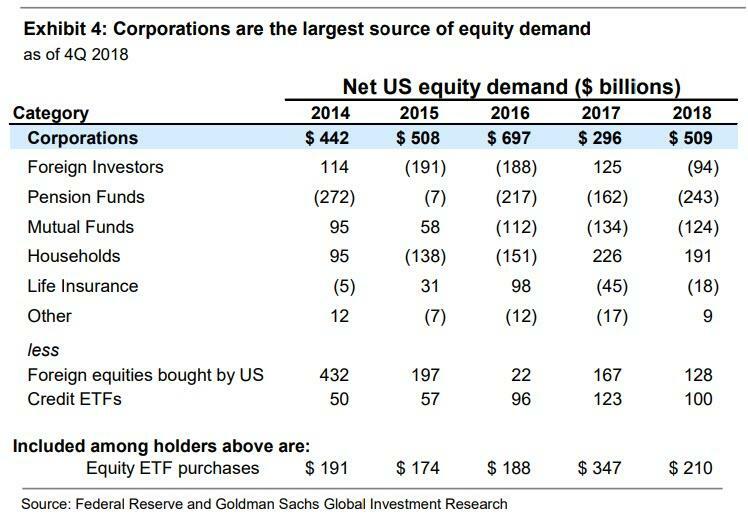 Others, those who actually understand that if there is a trillion dollars in price indiscrimiante stock bids (as was the case in 2018 and will again happen in 2019) is the single most effective way to boost stock prices (and management's incentive-linked comp, linked to higher stock prices), know - correctly - that corporate buybacks, which until not too long ago were banned, and which over the past decade emerged as the single biggest source of stock purchases, are one of the two most important factors behind the all time highs in the stock market (the other being the Fed, whose policies have allowed companies to issue debt with record low yields, allowing them to fund these trillions in buybacks). One month ago, the firm's chief equity strategy David Kostin wrote a report - let's call it the carrot - seeking to debunk "misconceptions" about stock buyabcks, which he claimed had gotten an unfair rap in the US. 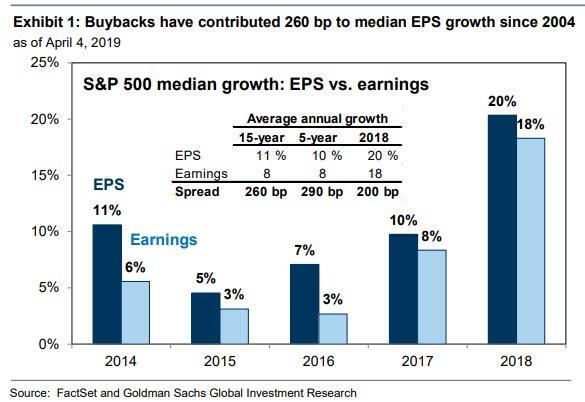 Specifically, Kostin said that "one of the greatest misconceptions in the public discourse surrounding corporate buybacks is the belief that managements repurchase stock in an attempt to inflate earnings per share and meet incentive compensation targets,” Goldman wrote. 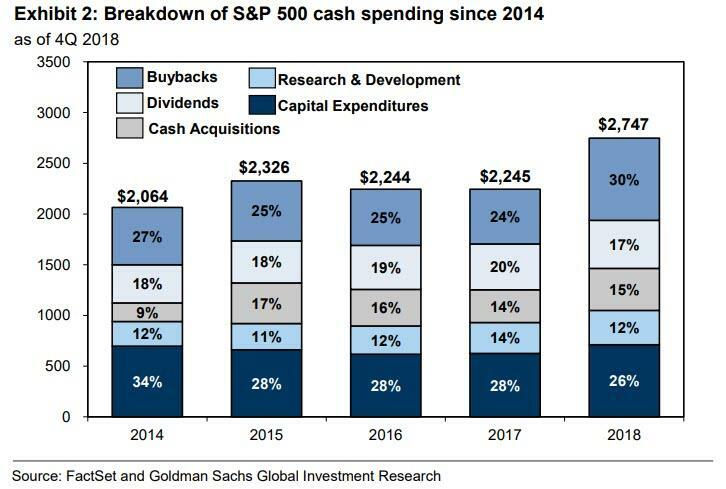 And while Goldman tried, to demonstrate that "executives whose compensation depends on EPS, did not allocate a higher proportion of 2018 total cash spending to buybacks than companies where management pay is not linked to EPS", the bank was forced to admit that last year buybacks did surpass capex as the biggest use of capital allocation.